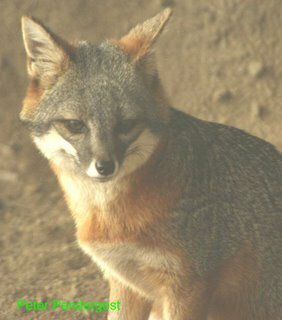 Island foxes (Urocyon littoralis) are unique to the Channel Islands off the coast of southern California. But as we travel to different schools and communities we have run across a variety of names for foxes. Foxes are the most diverse group of canines with various species found all over the world. There are arctic foxes that turn white in winter to blend in with the arctic snow. There are kit foxes and fennec foxes, adapted for deserts in North America and Africa, respectively. The red fox is found world wide (some populations being natural and others introduced by people). Foxes belong to the subfamily of animals called canines which includes wolves, dingos, African wild dogs, jackals, coyotes and domestic dogs. Canines originally evolved in North America. Many of the canines that we know today, however, are members of the family that migrated from North America to other parts of the world millions of years ago. Even the gray wolf is from a line of canines that migrated to Asia and then returned to North America. The coyote (Canis latrans) and the gray fox (Urocyon cinereoargenteus), the ancestor of the island fox, never left North America. 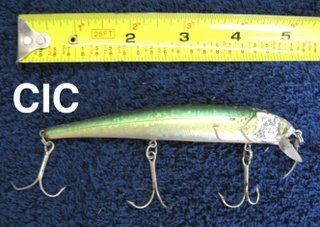 They are ancient species that lived side-by-side with saber-toothed cats and mammoths. 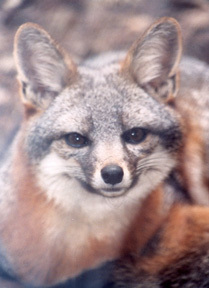 Island foxes have lived on the Channel Islands for at least 6,000 years. Friends of the Island Foxes urges you to explore our website and learn more about the island fox. The island fox only lives in one place in the world, on the California Channel Islands and each island has a different subspecies. To continue to survive into the future, the island fox needs your help. 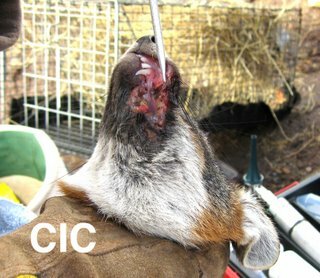 A $10 donation will vaccinate an island fox against the threat of introduced disease: distemper and rabies. To Donate CLICK on the Pay Pal or Network for Good button in the upper right corner. 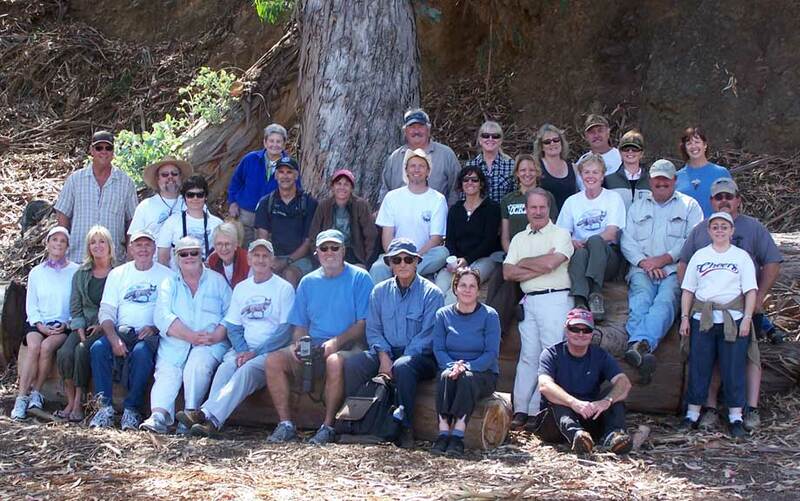 March through May is a busy time for island foxes, biologists, and Friends of the Island Fox. 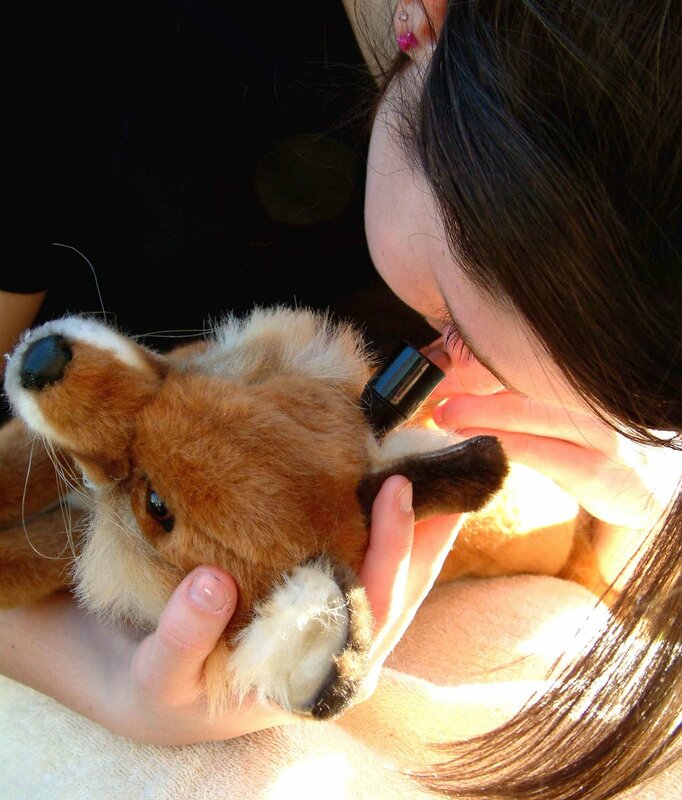 Spring brings fox pups that need to be fed by their parents and counted by biologists in the field. 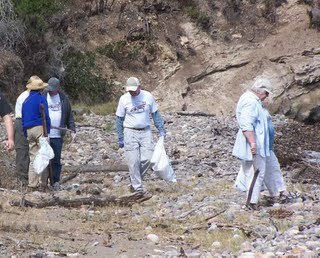 It also is the time for Earth Day events. The first step in saving an endangered species is educating the local community. Education can come in a variety of approaches, activities and interactions. Friends of the Island Fox is devoted to educating the public, young and old, in creative and relevant ways. 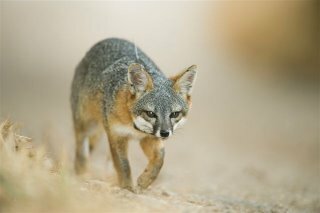 The more you know about the island fox, the better neighbor you can be to this endangered species. What happens when an island fox is found dead? Just like your favorite crime drama on TV, it takes a team of scientists to understand what has happened when an endangered island fox is found dead. When this signal is detected, field personnel locate the collar and collect the carcass if in fact the animal is deceased. Island fox carcasses are sent to Dr. Linda Munson at the University of California, Davis School of Veterinary Medicine, where she and her staff perform necropsies (autopsies) to determine precisely what killed each animal. Information from necropsies helped determine the direct association between the island foxes decline and predation by golden eagles on the Northern Channel Islands and disease on Santa Catalina Island. Helping the island fox comes in a variety of forms. Necropsies continue to provide critical information on disease, health, and continuing predation issues. Each island fox necropsy requires several hours of veterinarian time and follow-up laboratory analysis, and costs approximately $250. Because this program is not otherwise funded, there is a growing need for help in funding this vital part of island fox conservation. 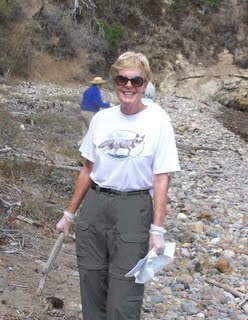 You can help a real CSI, a Critter Scene Investigation. Your donations to Friends of the Island Fox can help to fund important scientific work and island fox necropsies. To donate through Pay Pal, click on the Pay Pal button at the upper right corner of the page. FRIENDS OF THE ISLAND FOX, INC.
Friends of the Island Fox, Inc. supports efforts to save the endangered island fox (Urocyon littoralis) on the California Channel Islands through conservation and education programs. Your contribution supports fox conservation. "WORKING TOGETHER TO SAVE THE ISLAND FOX"